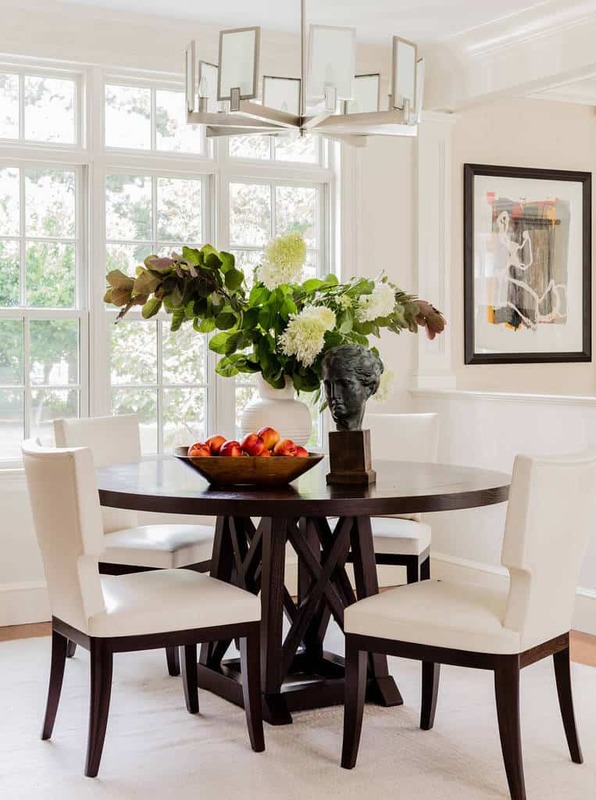 If you’re thinking about redecorating your dining room, keep reading! We’re about to discuss a number of decor and design inspirations for dining rooms. 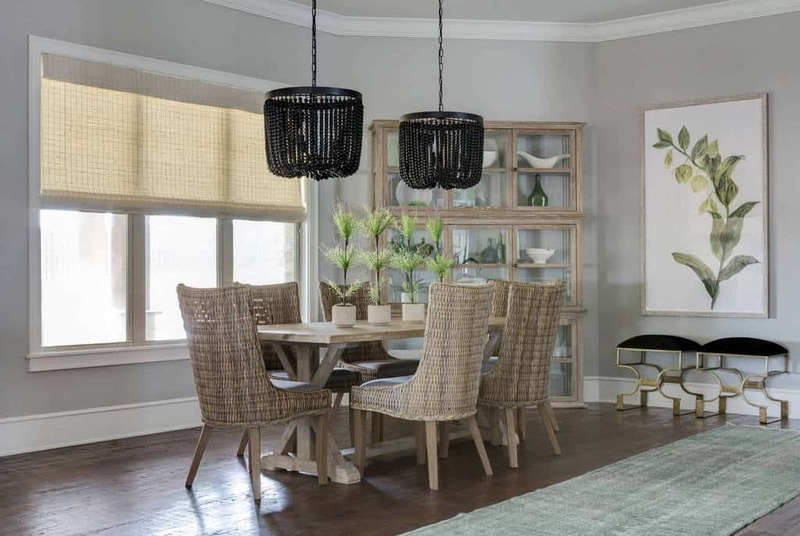 Whether you plan to completely re-do your dining room or just add some new accents to freshen up the space, you might just find what you’re looking for here. Maybe a pop of color in the form of vibrant chairs would be up your alley? Or maybe you would like to add more classic beauty in the form of plush gray rugs and champagne curtains, expansive windows allowing in the illumination of daylight, writing desks, harmonized walls and floors, or stylish sheepskin accents? Whatever your preference, you’ll find something of interest. 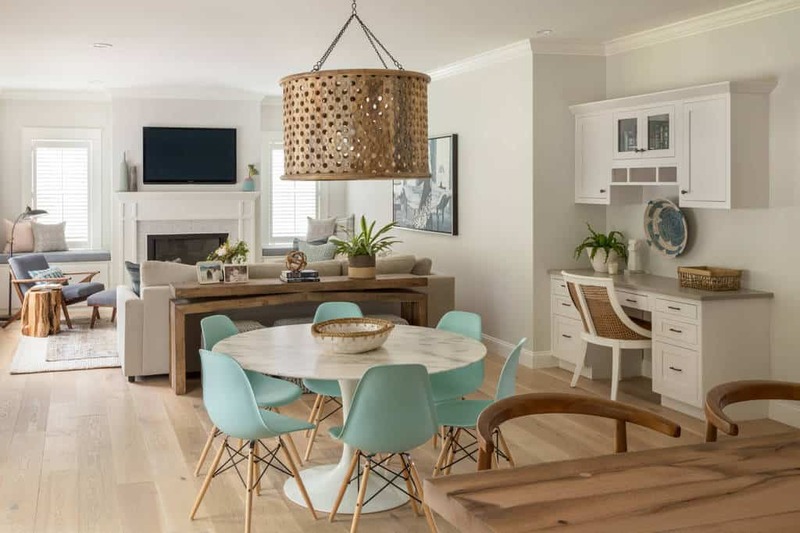 This dining room’s vivid blue chairs help create a fun and whimsical look. 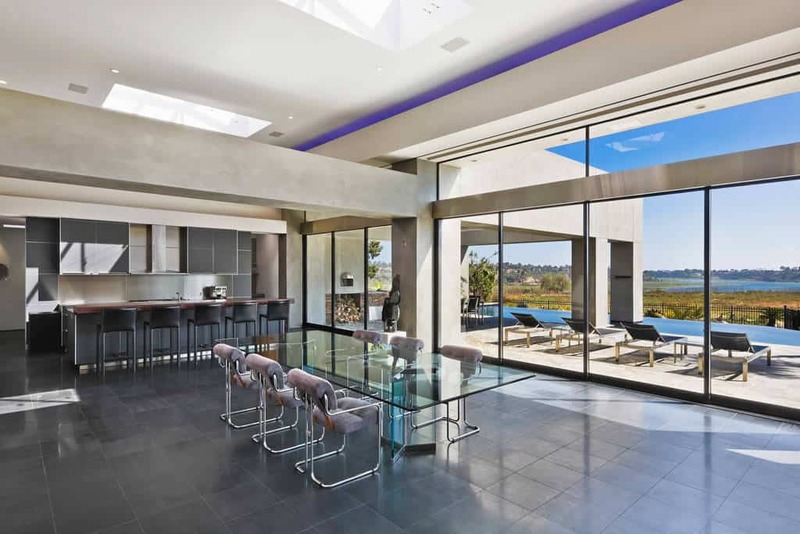 These walls of windows allow in a tremendous amount of gorgeous daylight. This otherwise light and breezy dining room is given an edgy touch with black chandeliers and stools. 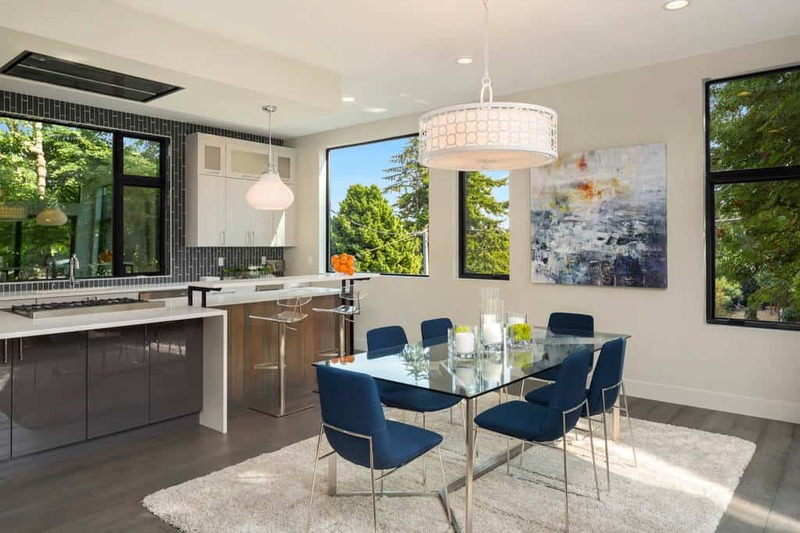 This dining room’s glass table top complements the other design elements of the space. 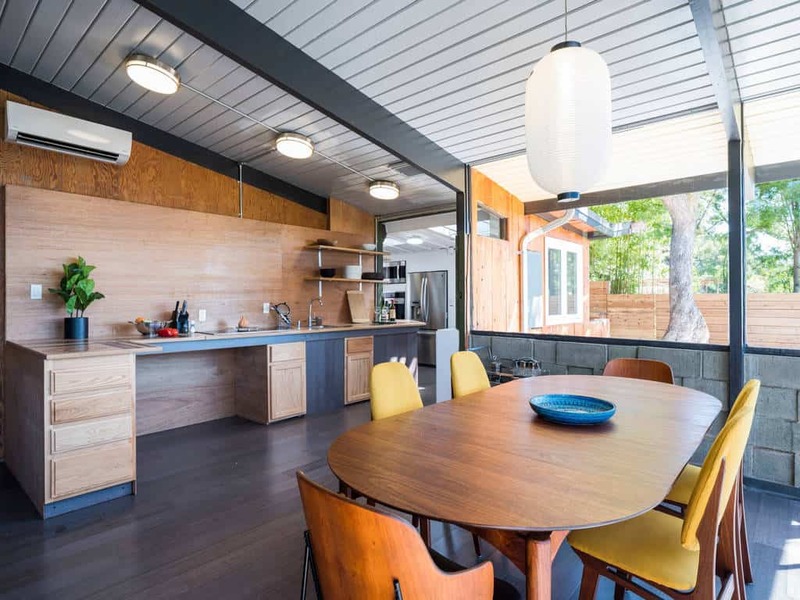 These wood-finish walls beautifully match the dining room table. The red patterned rug beneath this dining room table adds an exotic touch. 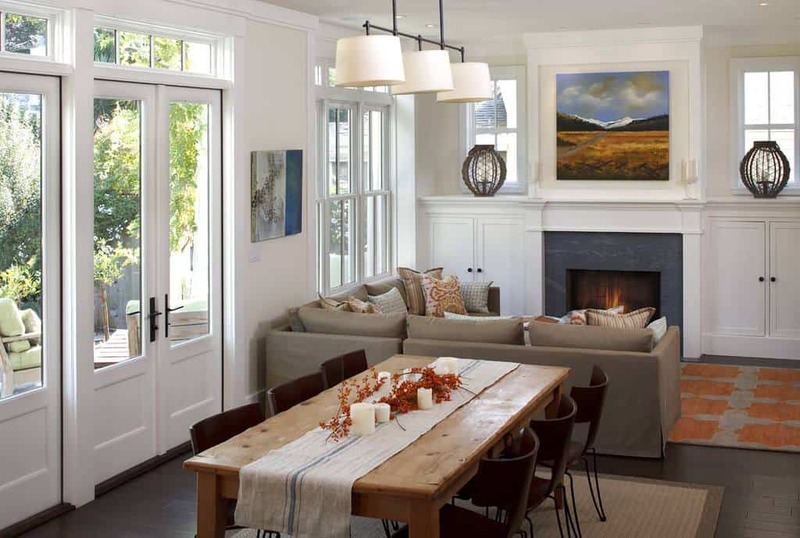 This dining room’s arched wooden door is a unique and appealing choice. 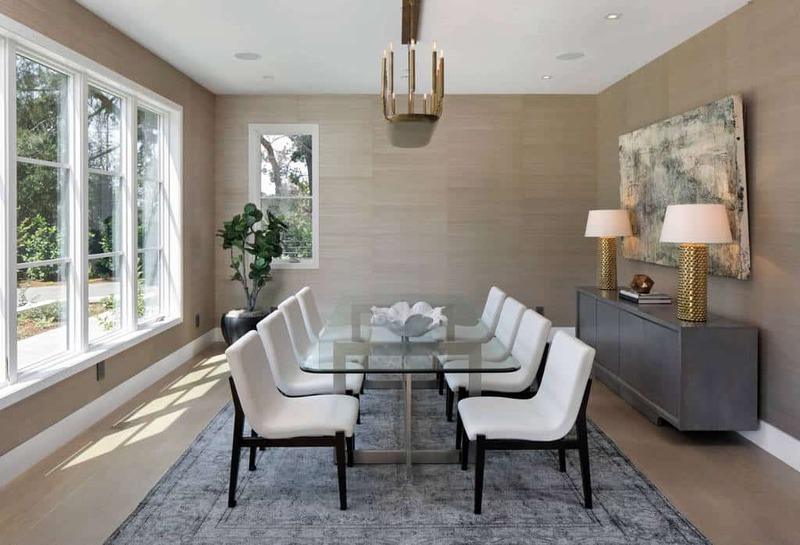 This dining room’s plush gray rug and lovely champagne-colored curtains work well with the glossy round dark-wood table. 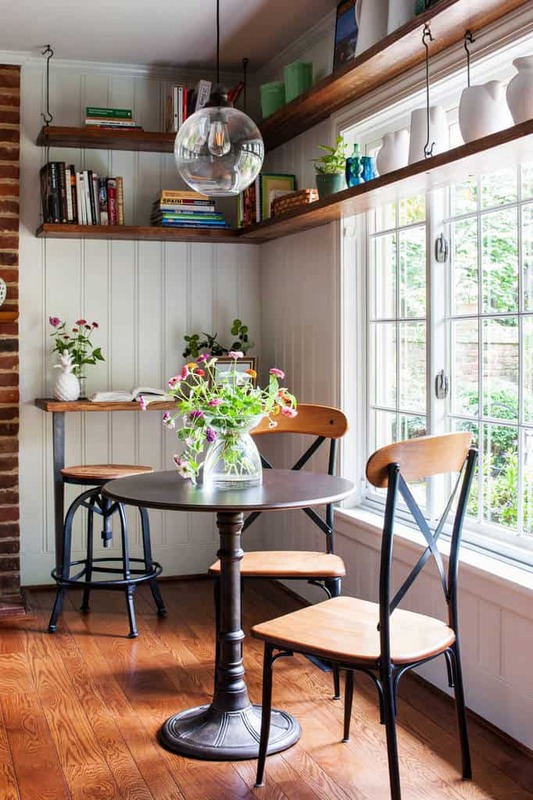 This tranquil nook by the window is perfect for reading a book and enjoying your morning coffee. 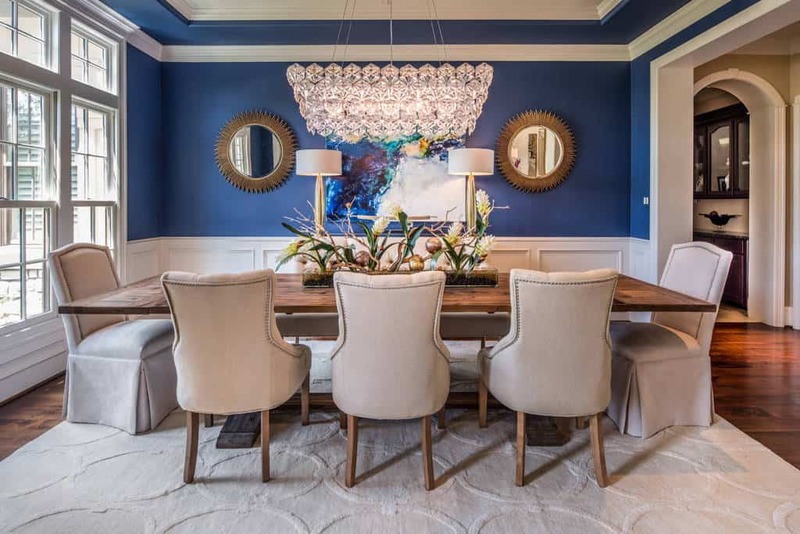 This dining room’s beautiful blue walls are adorned by two decorative mirrors. 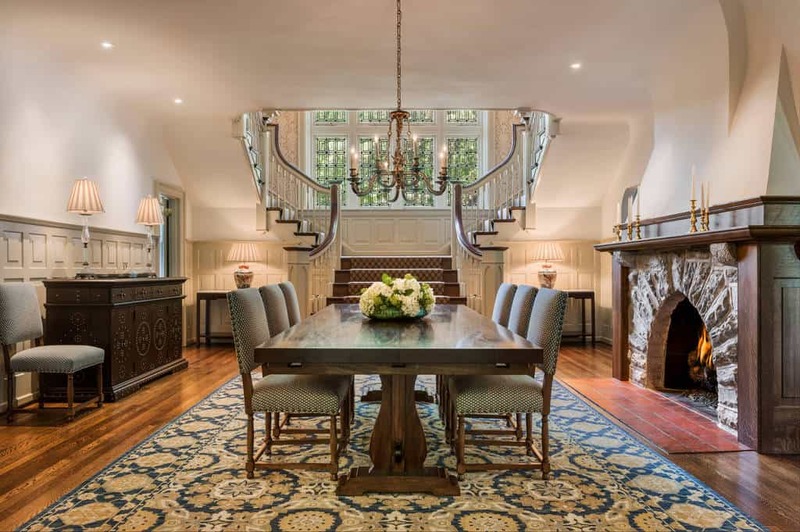 This dining room has not only a gorgeous fireplace but also a wonderfully grand staircase. 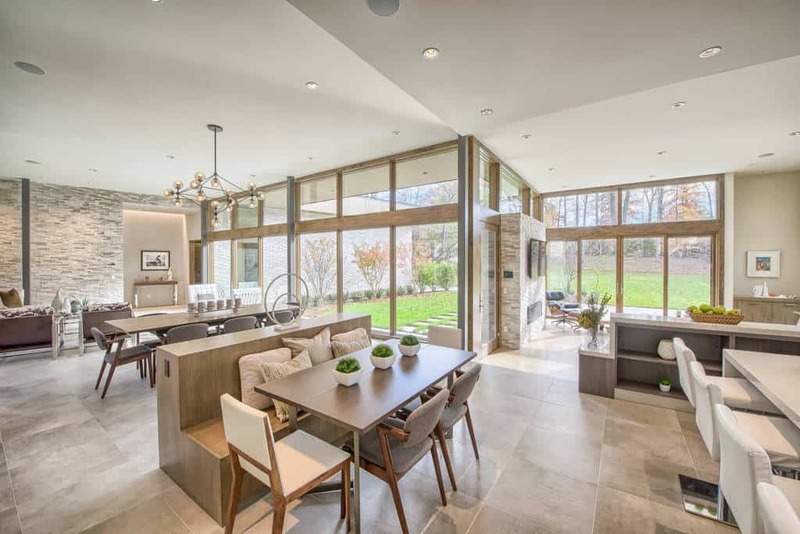 This combined dining room and kitchen feature matching gray floors and table. This cozy combined dining and living room features a lovely fireplace flanked by useful ivory cabinets. 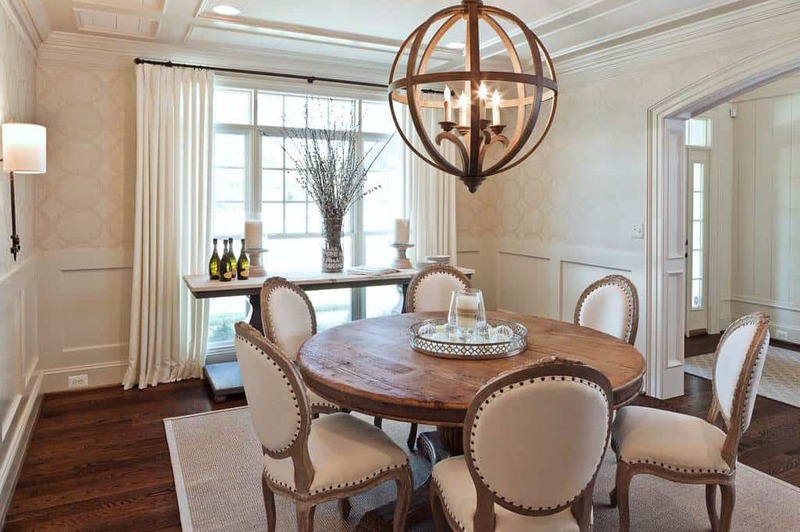 These maple hardwood floors harmonize nicely with the dining room’s round table. This dining room features a useful writing desk. Stylish and comfortable sheepskin chair seats elevate this already pleasant dining room. 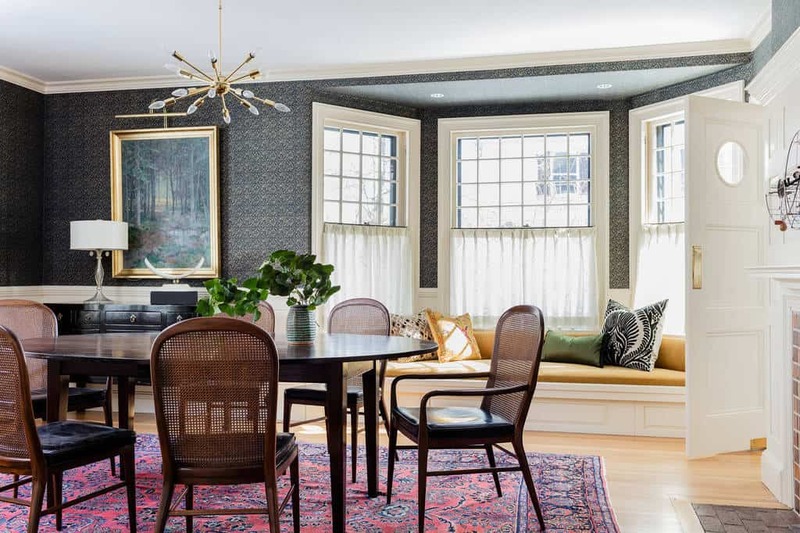 These hardwood floors harmonize with the color of this dining room’s textured wallpaper. 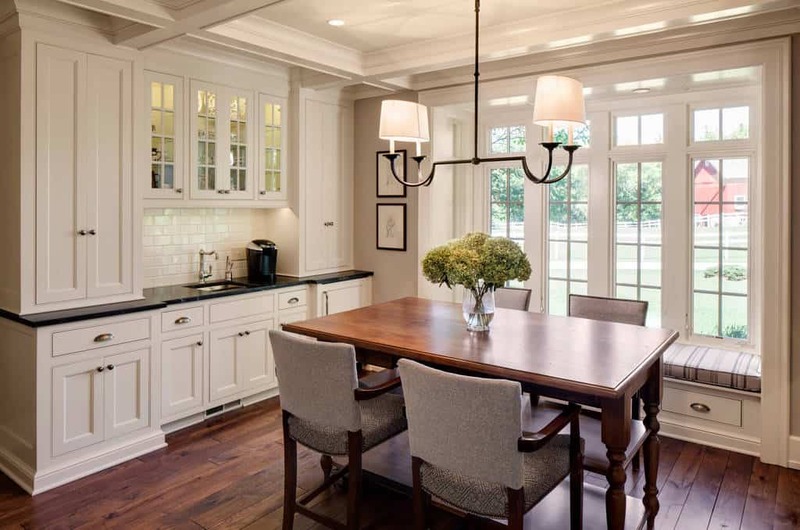 This dining room includes a kitchenette area with attractive cream cabinets. This dining room features shades of coffee and cream with a classic mahogany table and ivory chair seats and rug. Photo by Avalon Architectural, Inc. This dining room’s sophisticated gray floor has a distinct lilac tint.